There is a Session Id assigned to each connection to SQL Azure. Session Id may be very useful in debugging and can be logged by the developers. In this article, I will show “How could fetch Session Id programmatically? This class will contain function to fetch the session Id. Essentially Session Id for a connection is returned using Context_Info(). We will fetch Context_Info() using SqlCommand. To get the Session Id, what all you need to do is only create instance of SessionID class and call the function GetSessionId(). I am getting the Session Id from a console program as below. 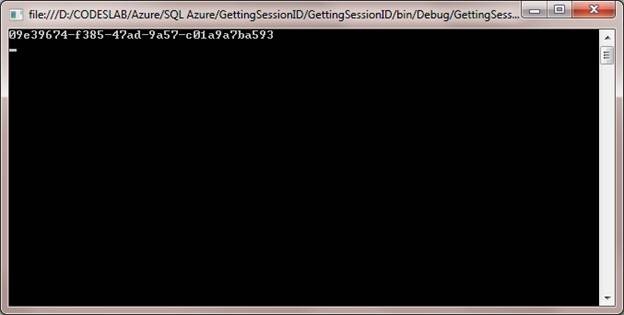 If you want you can log session id from here for debugging purpose.